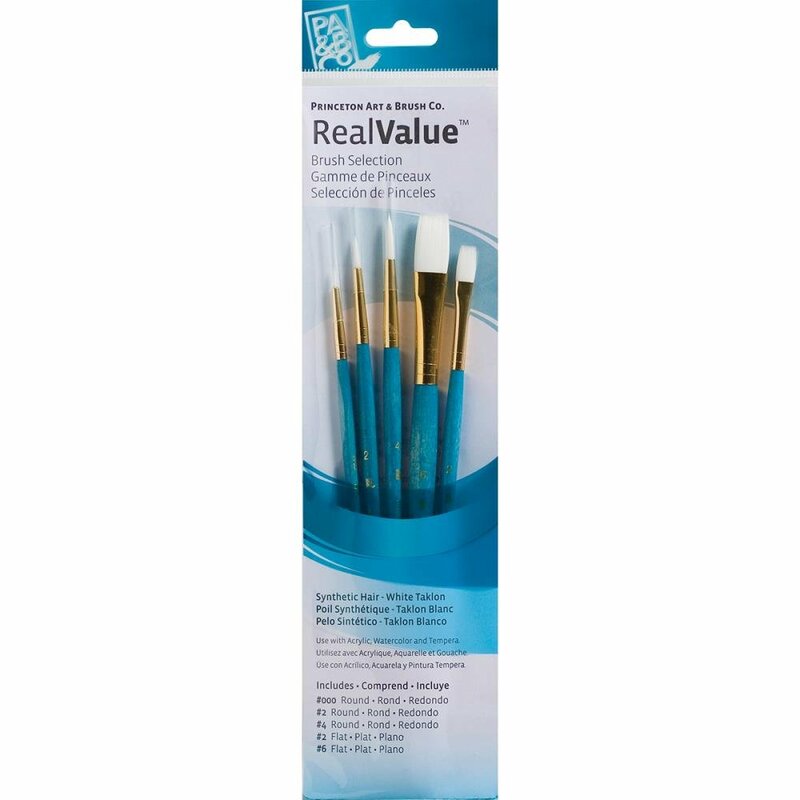 PRINCETON ART & BRUSH-Real Value Brush Set. Perfect for acrylic, watercolor and tempera. An outstanding value and the broadest range available for both novice and professional artists! Tri-lingual packaging is a plus. Has short and long handle brushes to meet every painting need. This 11x2-3/4 inch package contains three round brushes in sizes 3/0, 2 and 4, and two flat brushes in sizes 2 and 6. Brushes are made with synthetic white taklon hair. Imported.